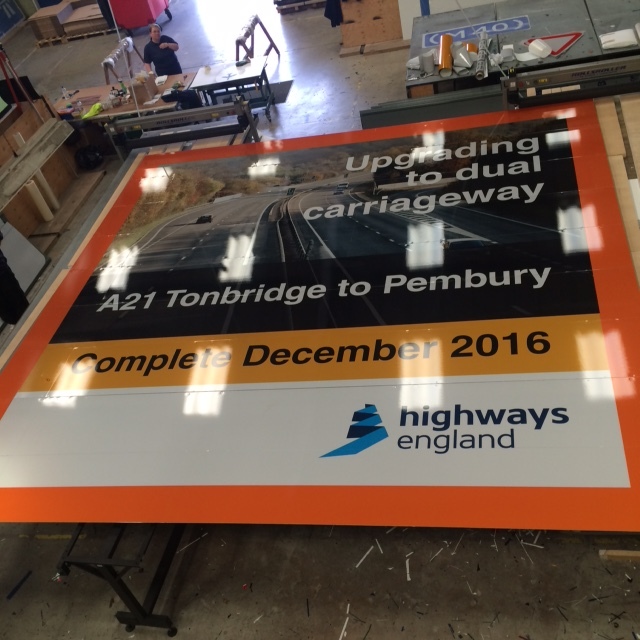 Working in Partnership with MSF Ltd Nuneaton Signs were asked to manufacture four 25 Msq site signs for the A21 Tonbridge to Pembury Dual Carriageway Scheme. Two of the signs were to show a digital image of the road. Using our new Oralite TM Digital Printer the images were printed directly onto Orafol 5810 RA2 reflective vinyl with a UV protective overlay.